The major refurbishment of Zetland Court is now nearing completion with work being concentrated on the top floor rooms. The Association is working very closely with the staff to make sure all the residents are provided with anything they may need following this major work. The new membership categories are continuing to flourish with many Brethren converting their life memberships to that of Friend or Friend and Partner. 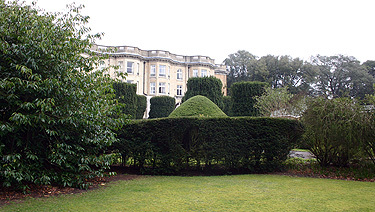 Many have also become Patrons by paying a minimum one off sum. There is now a Patrons Book on display in the reception for all to see. There have also been a lot of enquiries from individuals wanting to become Grand Patrons and therefore we have created a new category of individual Grand Patron. Their names will be added to a new Grand Patrons Honours Board specifically for individual donations. To all our new Patrons and Grand Patrons go our grateful thanks. Likewise several Lodges and Chapters have decided to support the Association and our hearty congratulations go to London Haven Lodge No.7300 as the first Lodge to take up Grand Patron status. 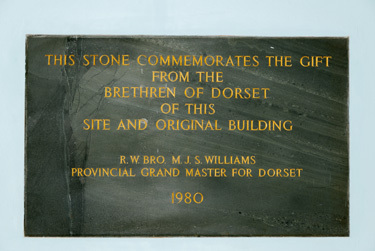 They are on the top of the honours board erected in the reception of Zetland Court. London Haven Lodge 7300 has now been joined by The Chapter of Unity No. 386, Quintus Lodge No. 8118, Horndean Lodge of Harmony No. 9015 and Verwood Lodge No. 9177 on the Grand Patron Honours Board, our hearty congratulations go to them all. For more news of London Haven and other notable donations including photos take a look at our new Donations page. If your Lodge of Chapter would like to achieve Grand Patron status a total contribution of £250.00 towards the Association is required either by a one off payment or in installments. For more information take a look at our Become a Member page or contact one of the Executive, we will be happy to help. The Annual General Meeting took place on Saturday the 5th March with a good attendance. There were quite a few changes to the Committee with Alan Carter taking over from David Maidment as Chairman, Jim Poole has taken up the post of Vice Chairman and we have three new Committee members, Dave Unwin, John Lawrence and Don Cowie. All three will add new and fresh minds to our Association and I’m sure you will join us in welcoming them to the team. 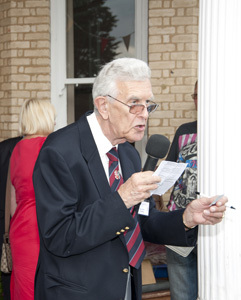 The AGM was presented with a healthy balance sheet by our Treasurer and plans were well in hand for the summer fete. All your generous donations, either from your membership contributions or from the fete go towards improving the lives of the residents by providing such things as hairdressing facilities, the Christmas lunch, day trips to see shows or to the beach or even safer, more comfortable beds. For that we thank you all. On a balmy day in May some of the residents spent the day at the beach. Taking the AFZC bus, warm clothing just in case and plenty of sandwiches they set up positions on the front at Westborne and thoroughly enjoyed the day there. Our thanks to everybody who helped make it a successful day out. 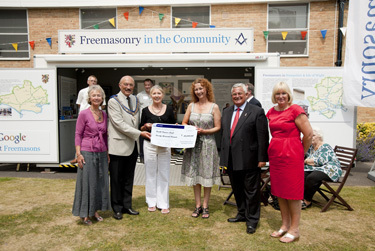 The Zetland Court Summer Fete took place on Saturday the 4th June, the Deputy Provincial Grand Master of Hampshire & IoW, Graham Williams and his wife Ann, who were representing the Provincial Grand Master, were both greeted by Alan Carter the Chairman of the Association of Friends, on their arrival. To start things off Graham Williams undertook the task of ‘unveiling’ the new Grand Patron Honours Boards which are in the reception area of the home. 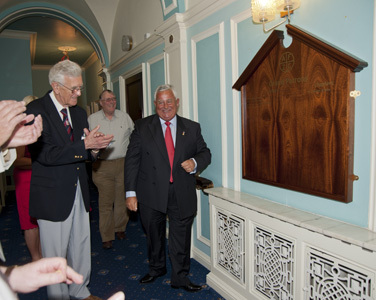 Our hearty congratulations go all the Lodges and Chapters who have had their names added to the board, well done! The opening ceremony was made by the Deputy Provincial Grand Master of Hampshire & IoW, Graham Williams and the CEO of the RMBI Mr David Innes made a presentation to Tina Beament the manager at Zetland Court for her devoted service to the home; they were accompanied by Chris Caine the Deputy Chairman of the RMBI on this very special occasion along with other dignitaries from both Hampshire and Dorset. There was a great variety of stalls and entertainment as usual with some new additions to all the old favourites, everything from the Freemasonry in the Community stand to Mr Punch. Good weather favoured all who came through the gates with cream teas, burgers, ice creams and a well stocked beer tent available for anybody needing urgent refreshment. Entertainment was on hand with a traditional jazz band providing background music during the afternoon and several events on the main lawn, Jules the Jester, dancing displays with the Ring of Eight and Punch & Judy shows for the children. The presentation of a cheque for £20,000 was made jointly by Hampshire & IoW and Dorset Provinces on behalf of the Grand Charity to the Youth Cancer Trust in recognition of all their good work for a very worthy cause. Several competition draws took place in addition to the Association of Friends draw, the Beaminster Manor Quiz Card was drawn by David Wakely assisted by his wife and the St Aldhelm’s raffle draw was made by Clive Deakin ably assisted by his wife Jennifer and Nigel Leonard. There was also a magnificent cake presented to all involved in the AFZC Summer Fete by the members of London Haven Lodge 7300 for having the privilege of serving all the cream teas during the afternoon. Clive Deakin the Deputy Provincial Grand Master of Dorset had the privilege of cutting this magnificent cake for all to enjoy. 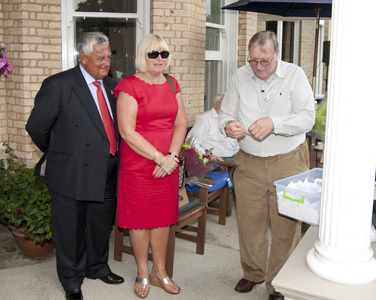 The Summer Fete draw was made by Mrs Ann Williams at the end of the afternoon which all in all was a resounding success reflected by the amount generated for the Friends of Zetland Court on behalf of the residents and staff. 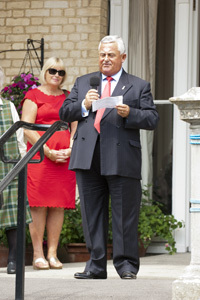 Sincere thanks go to all who came along to support our RMBI home on such a beautiful afternoon. If any Lodge in Dorset, Hampshire & IoW or Wiltshire would like to have a stall at next year’s Summer Fete or would like to become Grand Patrons please contact your Provincial Grand Charity Steward or the Friends of Zetland Court at www.zetlandcourt.org who will be happy to help you. We are of course always looking for committee members who will add a new dimension to the Association so if you feel you would like to add to our growing team then please contact one of the Executive who will be happy to talk to you. We are still in need of volunteer drivers for the minibus and car at Zetland Court. If you can spare an hour or two maybe once a month that would be very helpful. For more details please contact the AFZC Secretary or Vice Chairman, they will be happy to help.